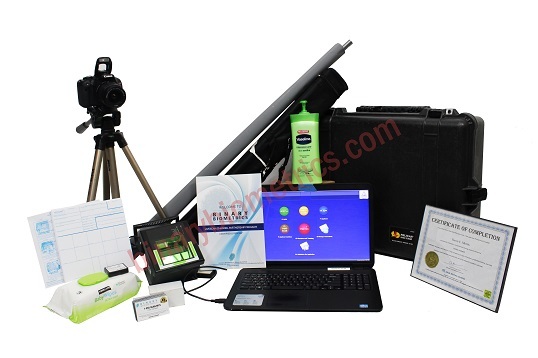 The rental fee is $550.00 per month for 36 months and includes everything you need to get started and comes with Certified LiveScan Training®, software license, and training, computer, fingerprint scanner, pelican carrying case, camera, and listing on our partners’ page and much more. However, you should consider our upgrade options so you can offer additional services which may add additional revenue. Why do we ask that you make a deposit before we approve your application? If your application is NOT APPROVED we will refund your $10,000, less $100 processing fee. Simply put we’re serious about growing Binary and we want to make sure you are too. We feel if a potential channel partner is unwilling to value our time they will not a good for our business model. Plus, the time we save on individuals who are not serious can be better spent focusing on our current partners who are. If you decide to become a partner we will credit the consultation fee to any future charges you have with Binary Biometrics. When you have successfully submitted your application to become a Channel Partner we will provide a decision within 24-hours, excluding weekend and holidays.